Viparita Karani, or feet on the wall, is a great alternative to bending over to stretch out your legs and back. 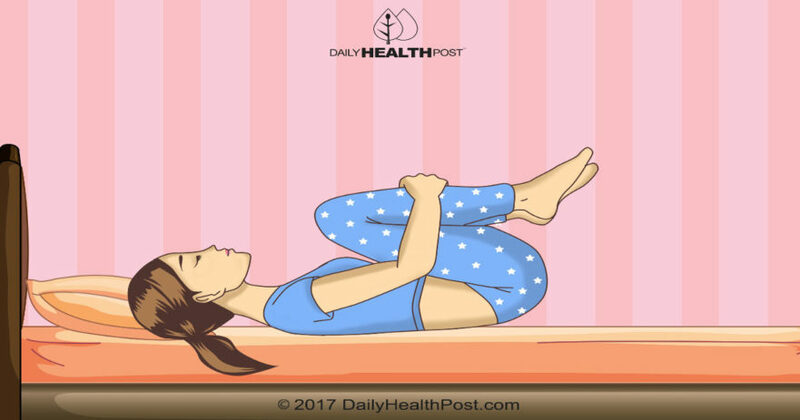 “When you put your legs up the wall with your pelvis elevated on a folded blanket, lymph and other fluids that can lead to swollen ankles, tired knees, and congested pelvic organs flow into the lower belly; this refreshes the legs and the reproductive area,” explains Yoga Journal (3). Place a folded pillow next to the wall or headboard. Lie down on the ground or on your bed with your buttocks against the wall, and prop your feet and legs on the wall. Spread your arms out to the sides to open your chest. Hold the pose for a few minutes, breathing deeply throughout. This exercise gets into the deep muscles in your back to relieve pain and tension. 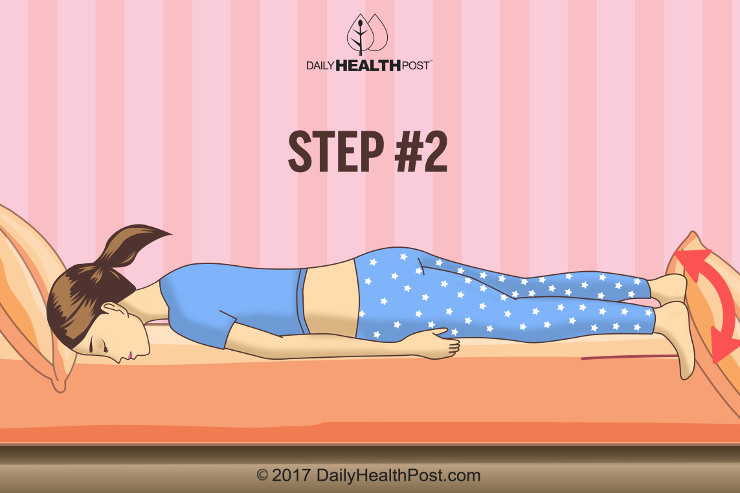 To start, lie on your back with a small rolled towels under your waist and neck. Stay relaxed and sway your feet from side to side. Loosen up your neck by slowly shaking it from side to side. Make sure not to strain your neck or back as you do so. Change direction and continue swaying from side to side for a few breaths. Roll over onto your stomach, moving the towel under your forehead. 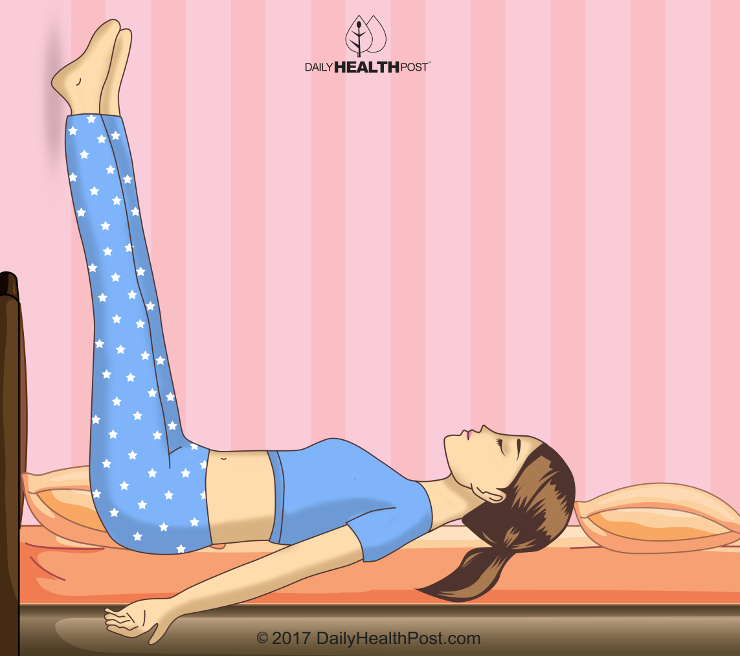 Rest your toes on the bed with your arms and legs spread comfortably. Shake your feet from side to side as if your body was being moved by waves. Let your whole body relax. Change directions and continue for a few deep breaths. 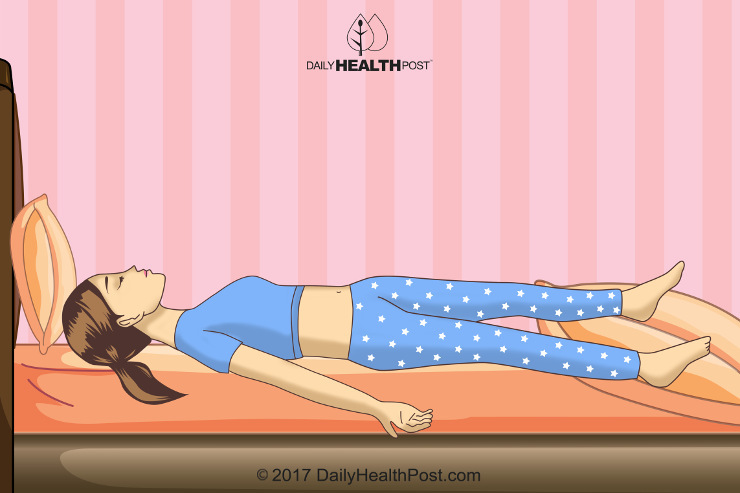 Shavasana, also known as corpse pose, is often used at the end of a yoga session to release stress and transition into a relaxed state. It also works to relieve back pain as well as shoulder and neck pain caused by sitting at a desk all day (4). Lie down on your back, slightly spreading your legs and arms. Place your palms facing up. Support your neck with a folded towel to let your neck fully relax. Breathe deeply and slowly relax every muscle in your body, starting with your toes and ending with your head. Let your breaths get longer and deeper as time goes on. Relax as much as you can and slowly come back into your body and out of the pose. 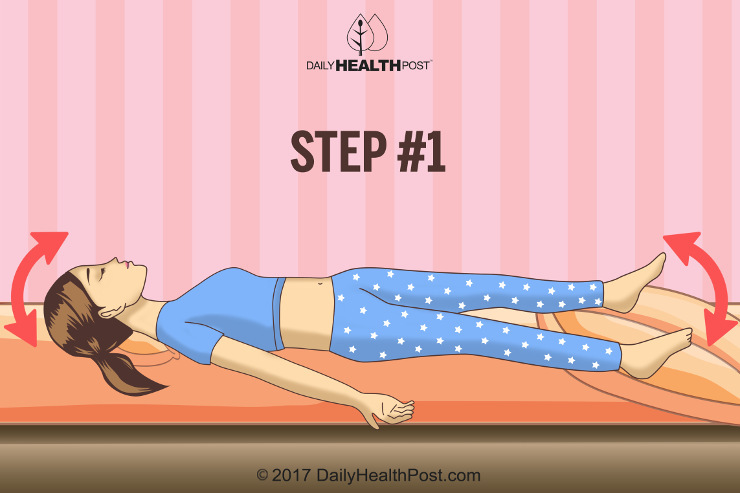 You can also use this pose to drift into sleep. Practice these four exercises every night for complete back pain relief. You’ll be glad you tried it!